We have a SEQuaderma giveaway on the blog today. 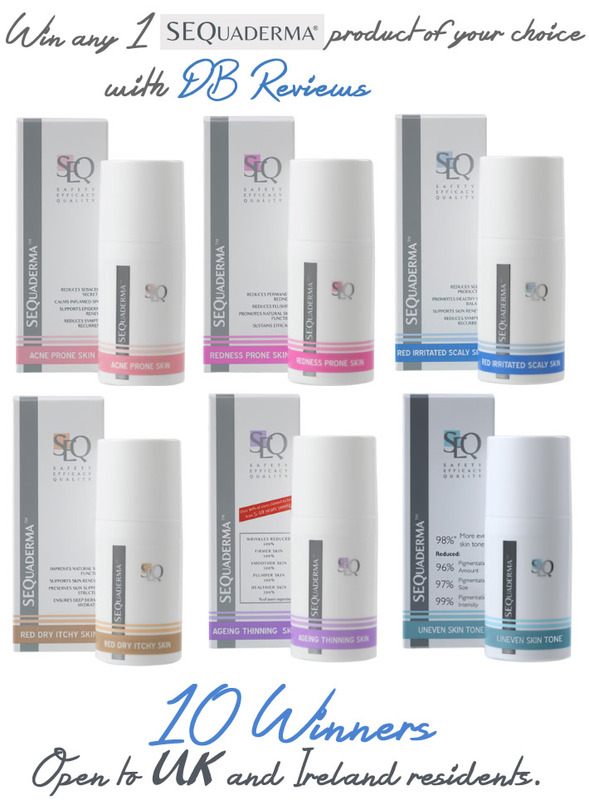 The competition runs until the end of this month and the 10 lucky winners can each pick any one of the six products from SEQuaderma's range. Each of the products is targeted for specific skin conditions like Rosacea, Eczema, Acne, Dermatitis and Ageing & Thinning skin etc. Please note that entrants to the competition will be added to SEQuaderma's mailing list. For full T&Cs, refer to the Gleam widget.